Authorities confirm two female mental health patients drowned when a van was swept away in rising flood waters in South Carolina, CBS affiliate WLTX reports. Horry County Sheriff's Department spokeswoman Brooke Holden says a sheriff's office van was carrying two patients and two deputies from Conway to Darlington on Tuesday night when it was overtaken by flood waters. The deputies were placed on administrative leave on Wednesday, the sheriff's office said. The two victims were originally reported to be detainees, but officials have clarified they were patients at nearby mental hospitals. 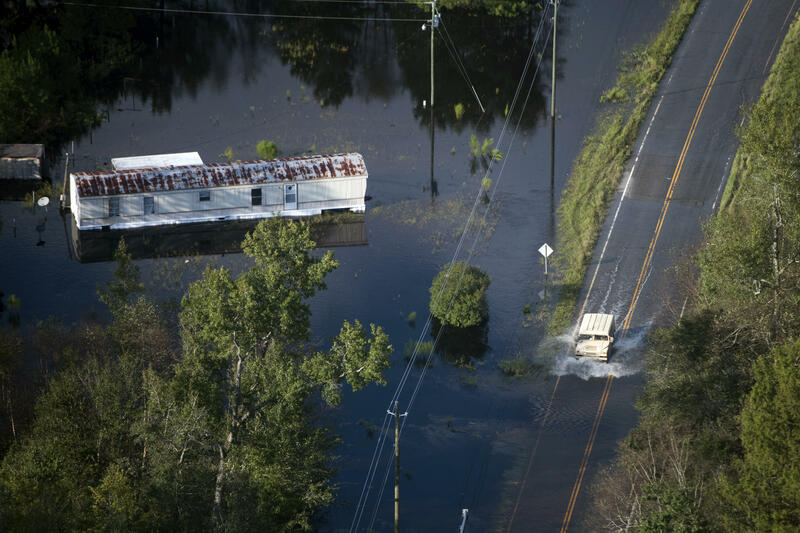 Officials say the van was traveling near the Little Pee Dee River, one of the bodies of water officials in South Carolina are watching closely as water continues to pour into the state from upriver in North Carolina following the heavy rains of Florence. Marion County Coroner Jerry Richardson confirmed to AP earlier Tuesday that two women died in the incident. Their names have not been released. Holden says the deputies tried to get the mental health patients out but couldn't open the doors. High-water rescue teams plucked the deputies from the top of the van. "Tonight's incident is a tragedy. Just like you, we have questions we want answered," Horry County Sheriff Phillip Thompson said in the written statement. "We are fully cooperating with the State Law Enforcement Division to support their investigation of this event." Later, Thompson announced the two deputies involved in the incident had been placed on administrative leave. WLTX reports that the two deputies were transporting the two patients to McLeod Behavorial Health in Darlington. One patient was from Waccamaw Mental Health and the other was from the Loris Hospital. The incident is being investigated by the State Law Enforcement Division.